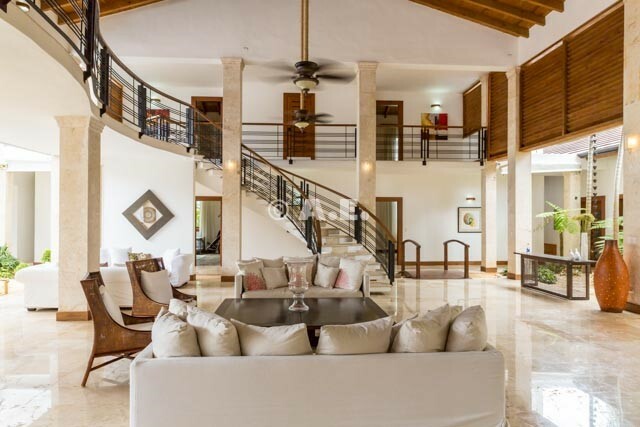 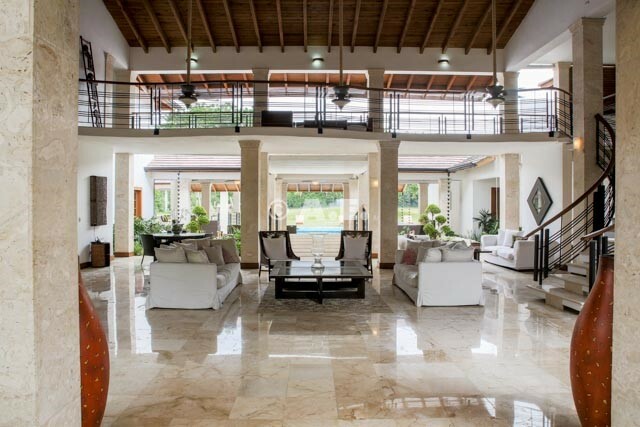 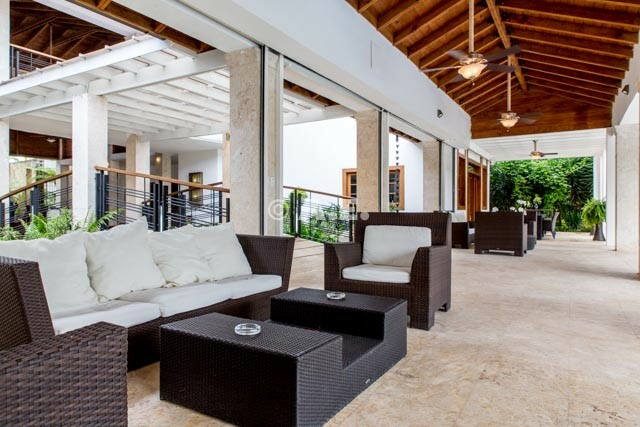 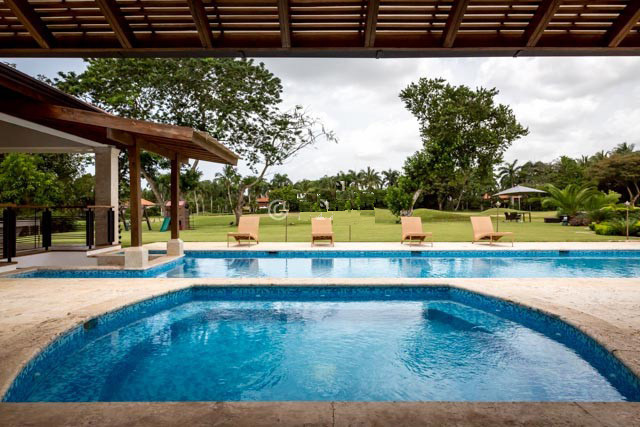 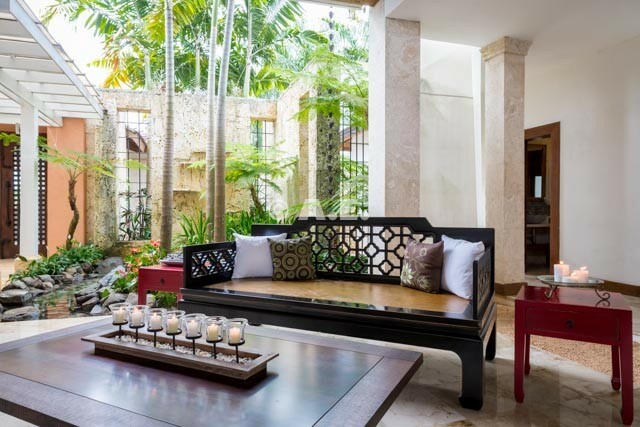 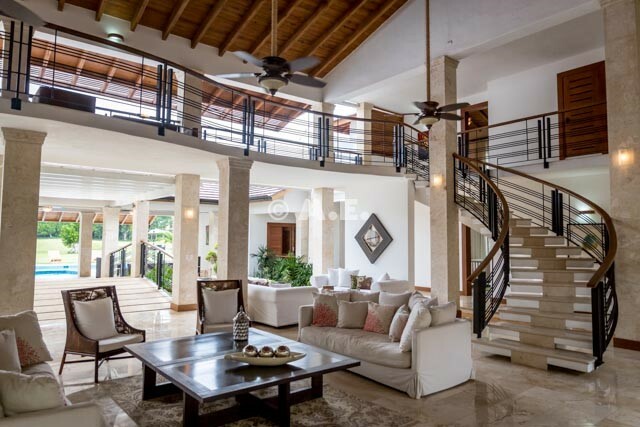 Beautiful very large 2 story contemporary villa with water features that surround the house. 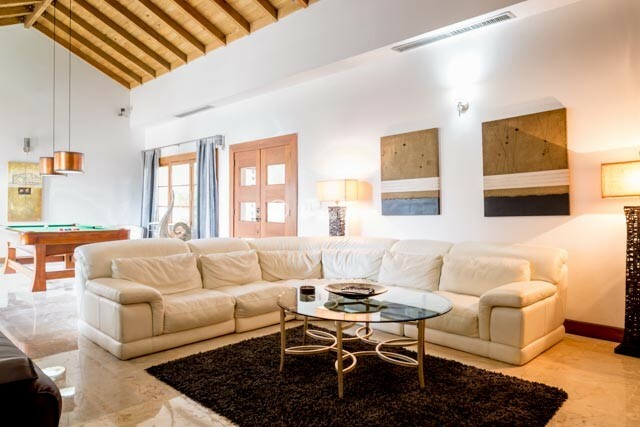 Great golfview and very close to the Marina. 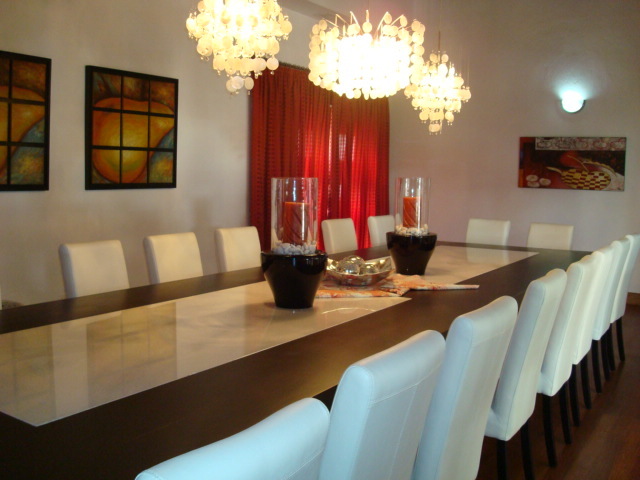 Large living room, and formal dining room with central A/C. 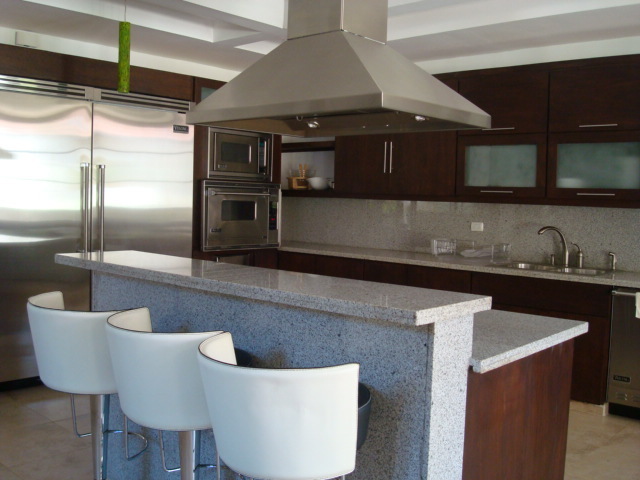 Professionaly equipped kitchen with Viking appliances and granite countertops. 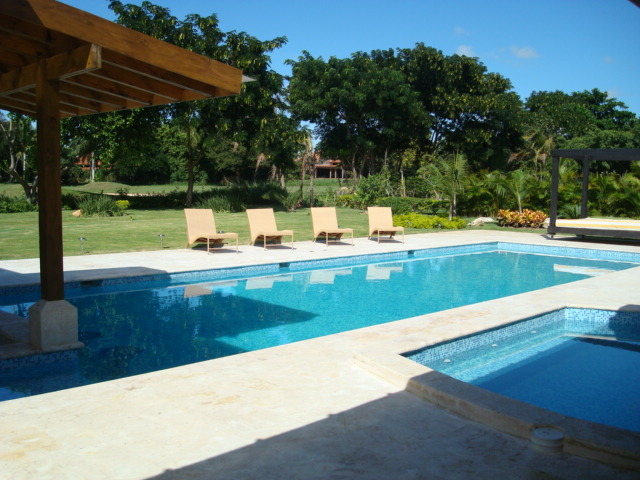 Large pool with swim up bar and jacuzzi, covered and sunny terrace sitting corners, and gazebo for outside entertainment. 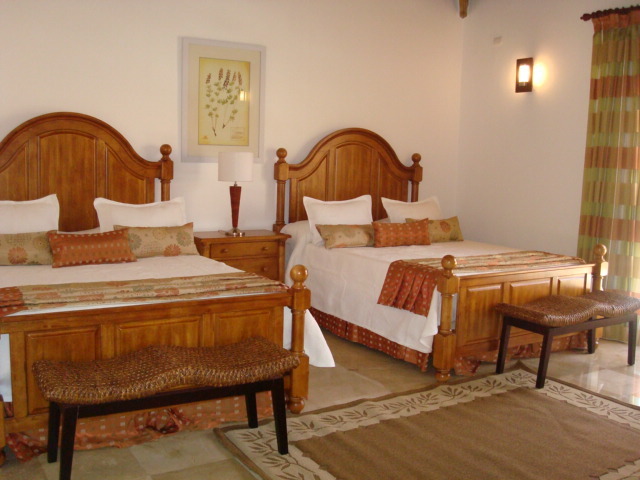 First floor has 1 master suite with king bed, and 2 rooms with each 2 full beds. 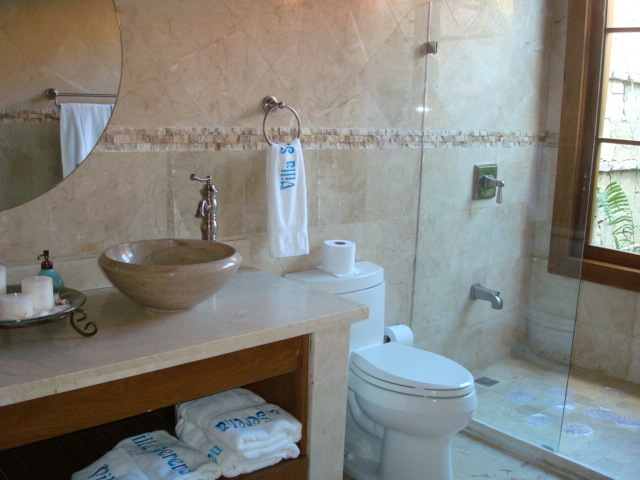 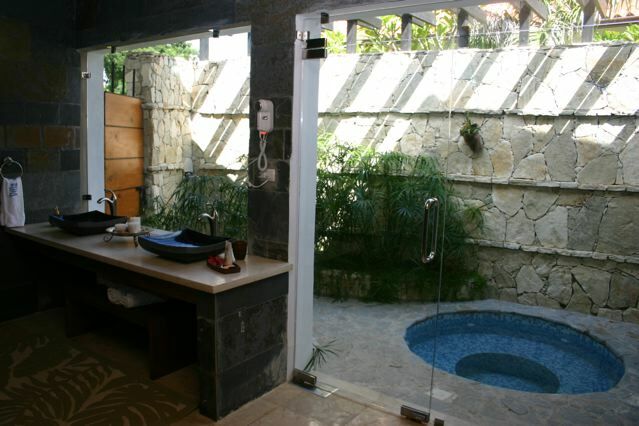 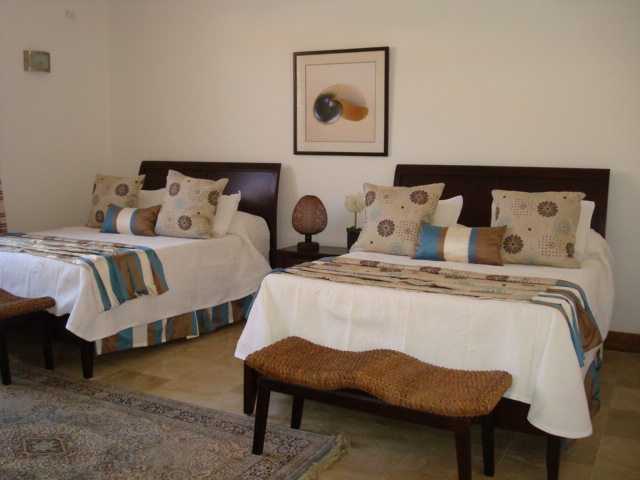 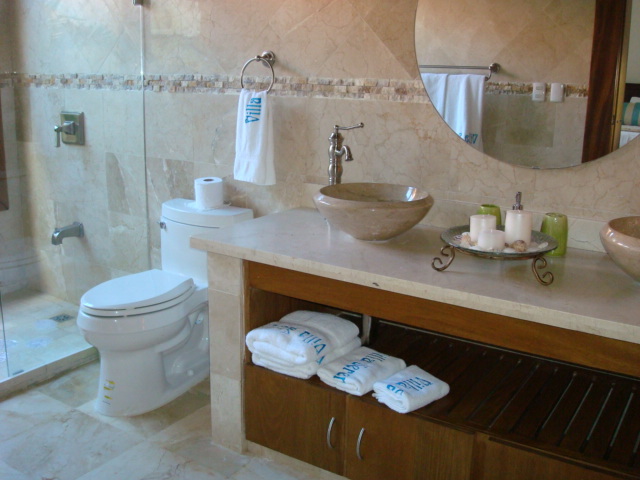 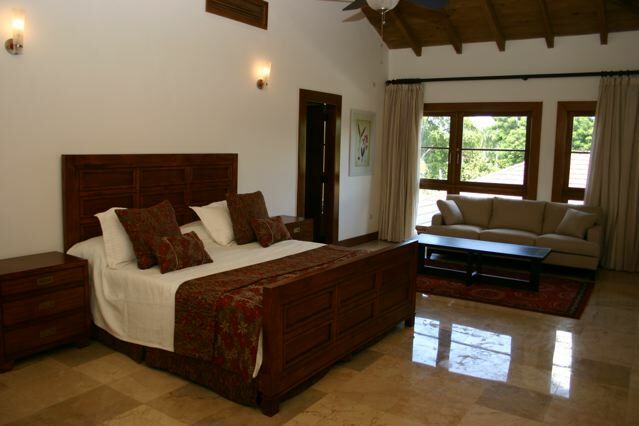 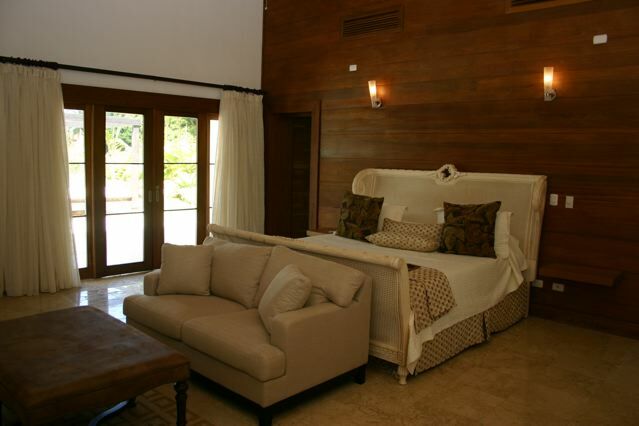 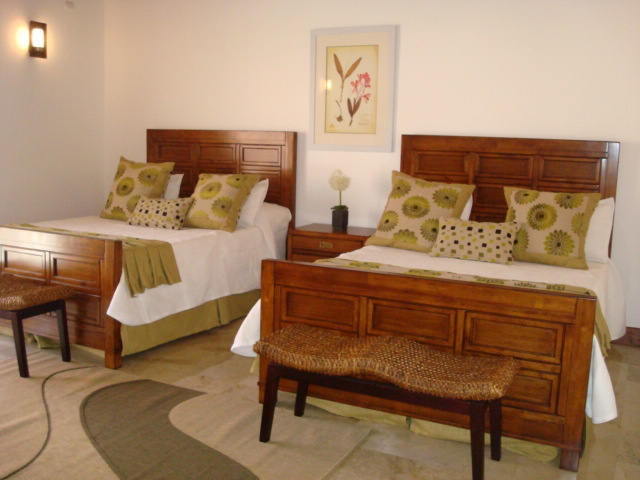 All have ensuite bathrooms with outside showers, the master has outside private jacuzzi. 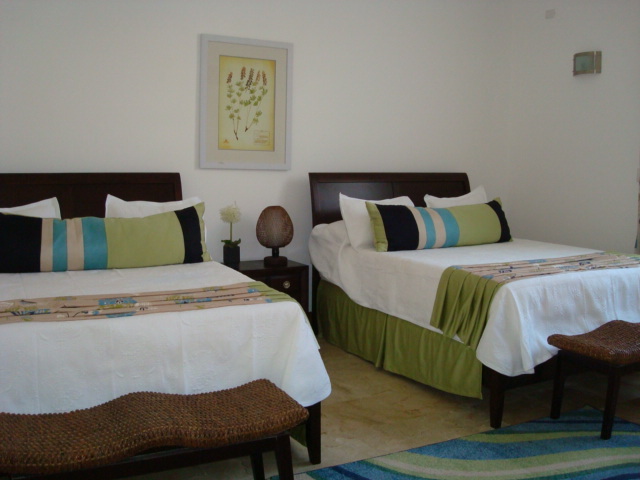 On the second floor 1 master with king bed, and 2 rooms with 2 full beds each. 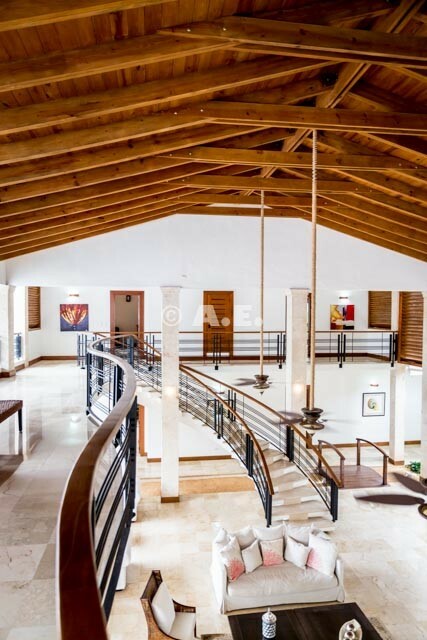 Covered carpark for 3 cars, and parking space for 3 more.